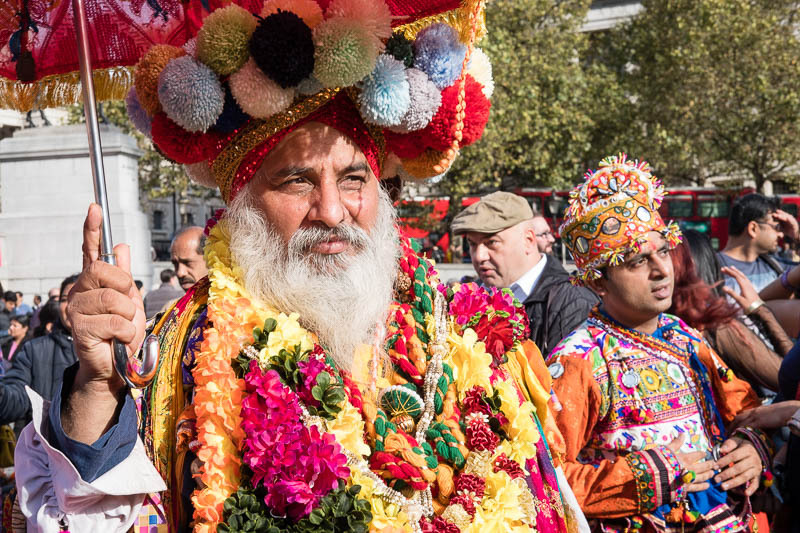 Trafalgar Square was a bursting with colour and festivities yesterday as the first place in the world to begin the the celebrations for Diwali 2016. The Hindu festival of light is celebrated every autumn, celebrating light over dark, good over evil, knowledge over ignorance and hope over despair. Celebrations, that often last for five days, include lights shining everywhere, buildings, temples, doorways, windows. Don new or best outfits and offer prayers to the goddess of fertility and prosperity. Dancing, music and food were in abundance in Trafalgar Square. Women could be helped into colourful saris and have their hands decorated with henna. Even the sudden downpour of rain in the middle of the afternoon did not dampen the spirits of the crowd. Sounds like a fun colourful festival for all. I'll bet there were a lot of photo opportunities at this event. Beautiful! Frankie celebrates Diwali at pre-school tomorrow . . . Celebrating light. Now, this is something we can all get behind. Must have been fun to circulate through the colorful crowds.